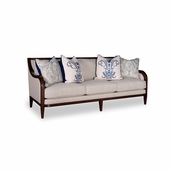 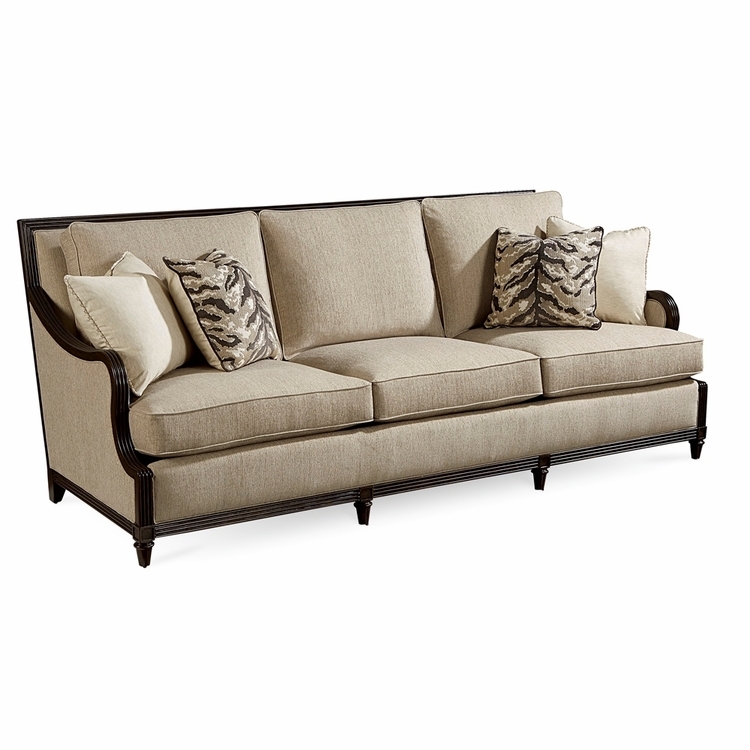 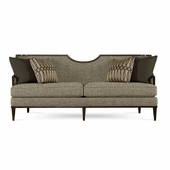 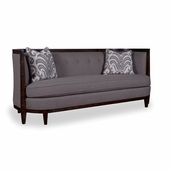 The handsome three-cushion sofa is framed in exposed wood detailed with classic reeding, finished in Thistle, a rich dark finish that shows off the beautiful grain of the wood. 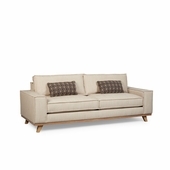 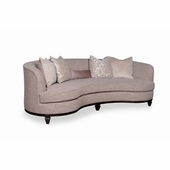 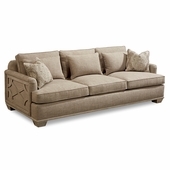 The sofa is upholstered in a textured neutral fabric; the three sofa cushions and the three loose back cushions are filled with a comfortable down blend. 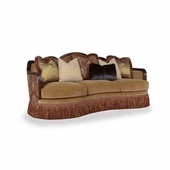 The sofa comes with four 19” x 19” toss pillows.